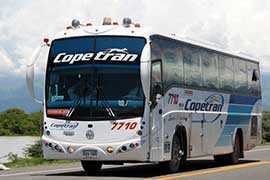 Thui Tours can provide transport options to all locations in the local area and bus tickets to other parts of Colombia. If you would like transport from the airport to your accommodation, a bus ticket to Tayrona Park and Cartagena, or long distance travel to Medellin or Bogota. You can purchase some here online, or you can contact us directly. Transport There are no products in this category.